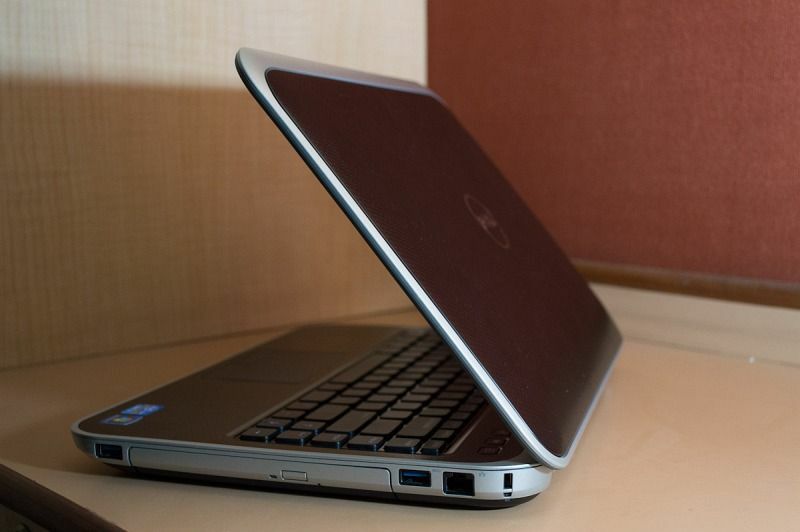 The new Dell Inspiron 14R Special Edition has become a bit of a favourite in the test labs. Not only because of its power package, but also because it feels worth the money a consumer will pay for it. We have had a chance to play with it for a while, and the initial experience has been nothing short of impressive. We honestly did not know which colour we would be getting, and when we did pull the Inspiron 14R SE out of the packaging, the black did seem just about right! What immediately catches your eye is the anodized aluminum on the lid, and the same runs across for the most part of the notebook. The removable lid covers mean you can always swap one for some other colour in the future, but here and now, we must say that it looks very similar to the classy carbon fibre finish we saw on the Dell XPS 13 ultrabook (read our review). For all purposes, the finish throughout is matte, but the lid cover does have a bit of shine to it – in a good way and not overtly. 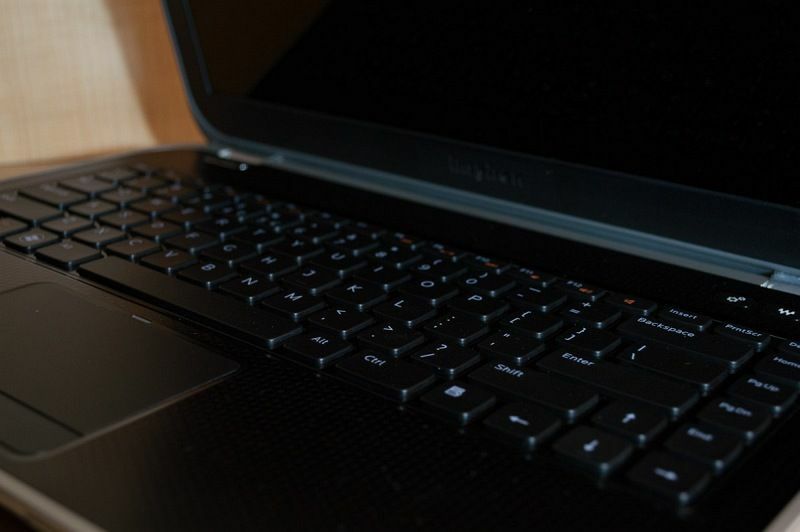 This is the same finish around the touchpad and the keyboard as well. Unlike glossy laptops that will catch dust, scratches and fingerprints in a jiffy, this one will not at all be that maintenance hungry. 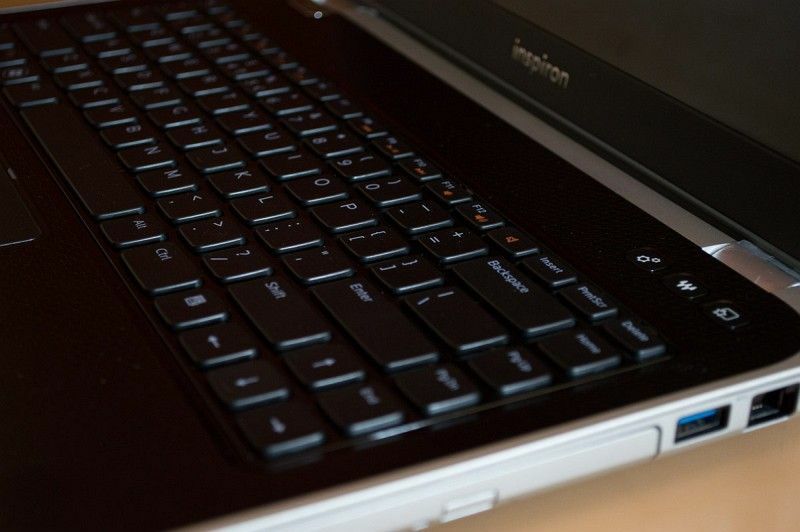 The power key is very closely integrated, design wise, with the silver laptop hinge. It seems like silver metal just flowed down and the power key found the perfect place to sit! Quick access keys seem to be going out of fashion, but we don’t really know why! 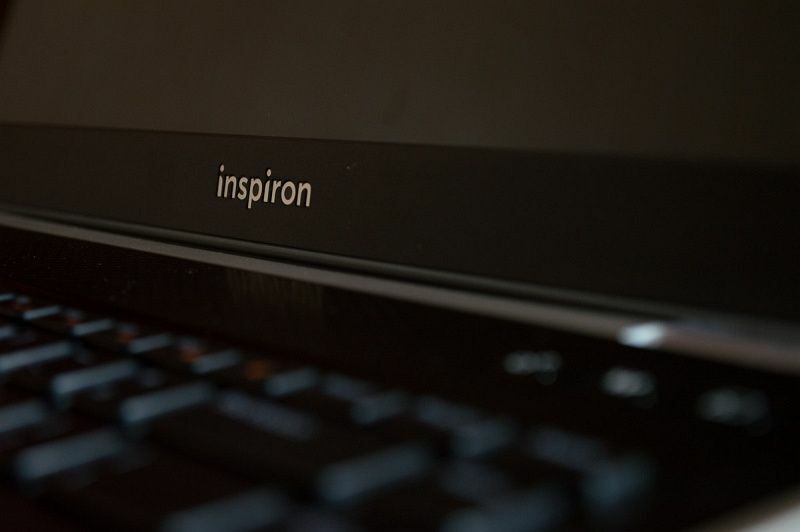 But the Inspiron 14R SE has three of them – Settings key for quick accessing the Windows Mobility Centre, a Multimedia key that quickly takes you to your media and a configurable quick launch key that can be configured to either open an app or execute a command. 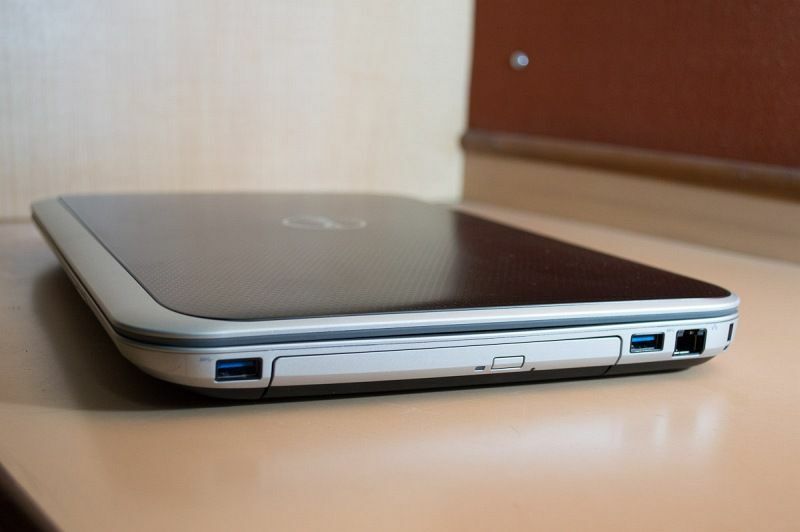 The ability to change lid covers is something that seems to appeal to a lot of customers, considering how popular this feature is with most Dell laptops that offer it. We have personally seen people getting the funkiest looking lids for their laptops, just to make them look different. However, Dell has just informed us that the feature of changing snap-on covers is not available in India. 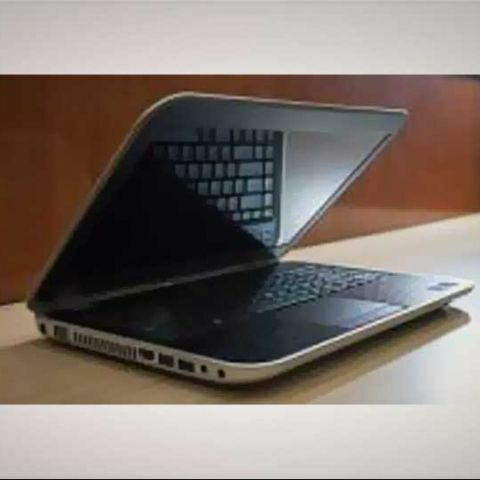 "We would like to let all consumers know that despite the presence of such a feature on the laptops, Dell India does not advice changing of the covers!" Interestingly, when closed and placed on a desk, you can’t really make out where the front and the back of the laptop are. The display hinge has been very nicely hidden away, and the dimensions (read thickness and design) remain the same throughout, unlike most laptops that tend to become slimmer towards the front. This isn’t the slimmest laptop around, but then again, the Inspiron 14R SE seems to be aimed at the demographic that want a solidly built laptop, and not just a slim one. No shortage of connectivity options, quite expected considering this is a full-fledged laptop. 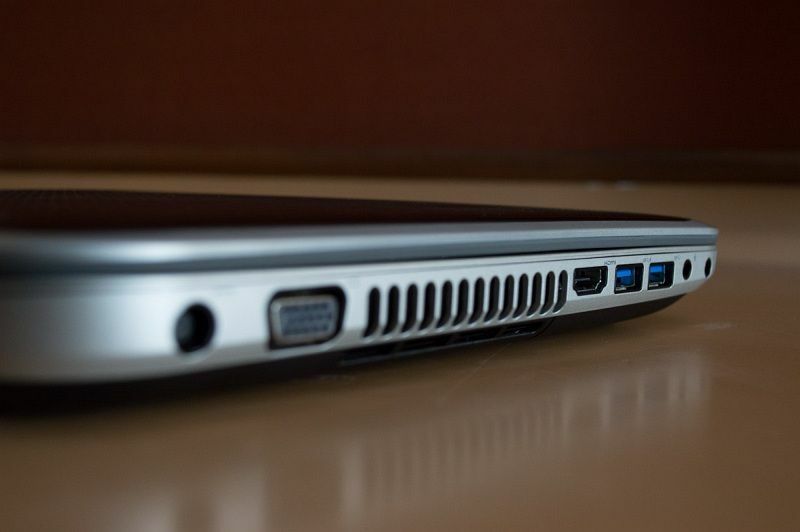 On the right side is the optical drive along with a couple of USB 3.0 ports, and the Ethernet port. On the left is another USB 3.0 port along with one USB 2.0 port as well. You could connect this to an external display if you so wish, thanks to the HDMI out. The island style keyboard looks well spaced out. What is missing is a dedicated number pad, but that is quite expected considering this is a 14-inch display and there are space limitations. The display resolution is 1366 x 768 pixels, while the bigger siblings – the 15R and the 17R get 1920 x 1080 pixel displays. This does seem like discrimination! Turning it on, we played some videos, and the results were impressive. The display is natively bright, and the colour reproduction seems quite impressive. Unfortunately, the display is a tad reflective. Mercifully, the touchpad isn’t following the trend a lot of rivals are setting, and has separate right and left click keys – with no ridiculous integration business within the touchpad area. On the other hand, that does mean that the real estate for the touchpad does become a tad less, but it is still more than enough for deploying multi-touch gestures comfortably. It delivered sure and consistent response for the most part, but only after we did a driver update from Dell’s support website. 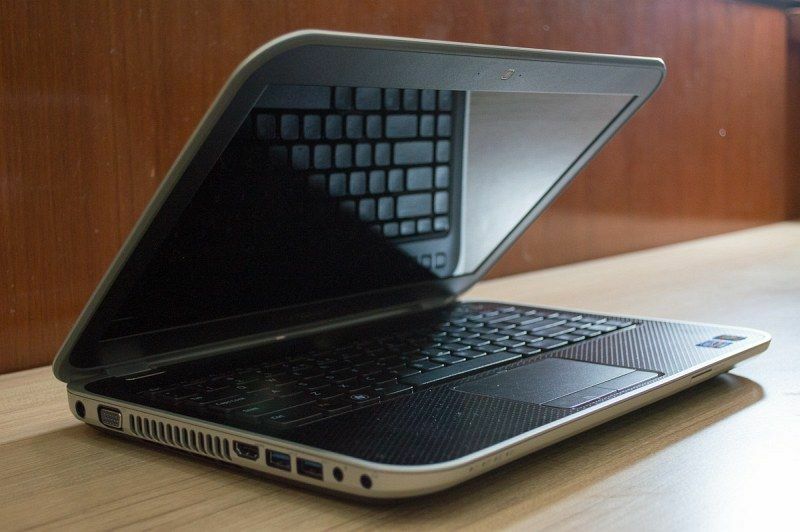 We have spent a little time with the laptop, and must say that we are impressed by how it looks and feels. For someone spending upwards of Rs. 50,000, and close to Rs. 60,000 for the top line version, this one does built to justify that. Do stay tuned for the next update, when we talk about the innards of the laptop, and also touch on how well it performs.